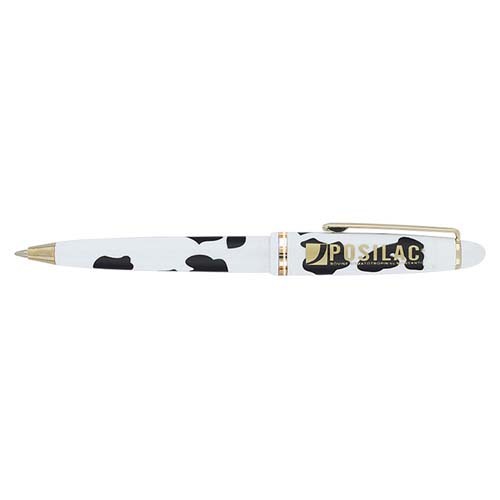 Barona Pen Our Barona cow-print pen is not only fun to use, the light-weight pen's push-button action make it one of our most convenient styles. Plastic, retractable pen with Black ink. Bulk / 15 lbs / 500 pcs.